In my role as a Client Services Specialist, I provide support for a highly productive broker, Robert Selton, and act as the point person for the Client Services Team. This support includes administrative duties, research and project management, transaction processing, proposals and presentations, database management and client support. 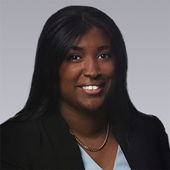 Prior to joining Colliers International in April of 2018, I gained experience in the residential Real Estate field. I was the Office Manager for a Weichert Real Estate office in Connecticut, and provided administrative and contract processing support to the broker and the agents of the office. In 2016, I moved to Jacksonville, and accepted a position at Buck & Buck Realtors. I extended my area of expertise into residential property management, while handling tenant related inquiries and all aspects of managing over 250 single family homes. 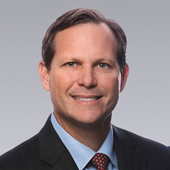 Raised in a “real estate family” in Amelia Island, Florida, Robert W. Selton, III, graduated from Rollins College and shortly after began his promising Commercial Real Estate career. Early in his career, Bob acquired mentors in the industry who have helped him to become an effective contributor in the market. In his days at Colliers Dickinson (to be later named Colliers International), Bob positioned himself as an eager dealmaker ready to connect with his customers and guide them to achieve their desired results. Now, as a seasoned Commercial Real Estate Influencer, Bob has earned more than 40 industry awards and recognitions of achievement for his professionalism and tenacity in the market. Mr. Selton has consistently remained a top producer in Northeast Florida completing over 1,100 transactions in excess of $1.2 billion. Bob is currently one of the Top 10 Investment brokers in Colliers International. By focusing on his clients’ expectations, Bob provides the best solutions to achieve their individual goals and provide a big picture understanding of the market. I joined Colliers International | Northeast Florida as a Client Services Coordinator in March 2018 and primarily support: Robert W. Selton, III, Matt Entriken, Jason K. Hinson, and Bart Hinson. I grew up in the Jacksonville area, and I returned to the area after attending the University of Central Florida, and I’m a proud #AlumKnight! Before joining Colliers International, I served as the Marketing Coordinator with EXIT Real Estate Gallery, ranked the top grossing multiple office both regionally, and internationally in EXIT Realty Corporation International. I served 450± licensed real estate agents in the Northeast Florida market assisting them in designing marketing materials, placing digital, print and television advertisements, and reviewing materials for compliance. While most of my real estate marketing experience is centered primarily in residential properties, I am excited to use my talent to influence the economic development through commercial real estate marketing at home in Northeast Florida. Simply put - there’s growth in Jax!